Promote fuller understanding of the individual ability and needs of people with developmental disabilities in all aspects of life. Positively influence the attitude and perception of society toward persons with developmental disabilities. Model innovative services that advance the dignity, value, and quality of life of those we serve. Create opportunities and maximize accessibility for persons with developmental disabilities to fully participate in society. 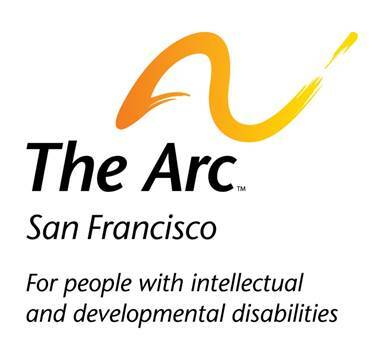 How did you find The Arc San Francisco and why would you like to volunteer? What are your areas of skill or interest? PULSE of the Arc: PULSE is our young professional’s volunteer group for individual and group volunteer opportunities. PULSE organizes fundraising events like happy-hours, art shows and bowling nights, plus quarterly client outings. Would you like to receive information on our other volunteer groups? We are always looking for professionals to donate their time and talents to The Arc. Areas where we need support from volunteer professionals include healthcare classes and screenings by healthcare professionals and students, dental hygiene support from dental professionals and students, haircuts and makeup tutorials by beauty professionals and education support from special education professionals. Other unique skills which have been requested by our clients and staff are yoga classes, massage therapy and jewelry making. We are constantly growing our education and outreach program and encourage professionals to contact our volunteer office if they would like to lend their expertise to our programs. When would you be available for volunteering? Please select... Anytime I'm interested in an internship Weekdays between 10am-2pm Weekdays between 3pm-8pm Monthly One time, for a done-in-a-day group project None of the above Please note that we ask our volunteers to commit to volunteering for a minimum of 4-6 months. Working with our clients may require a criminal background check and proof of a current negative TB test. Please provide a current photograph of yourself so we can identify you at The Arc San Francisco.